Hi, my name is Angie Kunnath, owner and Chief Operations Officer of Home Care Assistance of Guelph and Waterloo Region. Thank you for visiting our website. If you are someone who is struggling to find the best care option for an elderly parent, grandparent, aunt or uncle, you are not alone. Having been a caregiver for my grandmother in her final years, I too have been there. I understand the emotions, the level of stress and the feeling of being overwhelmed. While caring for my grandmother after she suffered a stroke, I realized how important it was to not only provide the highest quality of care but also to ensure her dignity, respect and maintain her lifestyle. My grandmother was someone who loved life. She always wanted to have a conversation and enjoy life to the fullest. Being a family caregiver helped me realized the challenges many other families go through in order to ensure the quality of life of an aging parent. It was in this moment I found my calling in elder care. If you have elderly parents who no longer are able to take care of their everyday needs or have a loved one who was diagnosed with Dementia, Alzheimer’s, Parkinson’s or memory issues, let us help you navigate the difficult decisions of finding the best care options. Like you, I have had experienced many of the same emotions that you are most likely going through right now. There is nothing better than talking to experts in such a critical time. Please know that you are not alone. Help is available. Please feel free to call me at (519) 590-2792. It will be my pleasure to discuss your needs and the care requirements of your loved one. Our proprietary Balance Care Method™ is a unique approach to home care that is focused on the personal needs and individual preferences of the client and their family. Our team diligently ensures your loved one is always receiving the highest level of care by learning and understanding the care recipient’s routine, challenges, and home environment. We conduct ongoing evaluation and maintain an open channel of communication with extended family for total peace of mind. At Home Care Assistance of Guelph, we provide high quality care that we would provide to our parents, grandparents and loved ones. Unlike many senior home care agencies, our caregivers are employees not contractors and are bonded, licensed, and insured. Qualifying as a Home Care Assistance caregiver is one of the toughest process. Our selective and rigorous hiring process ensures that only the most qualified and highly experienced caregivers make it through the selection process. 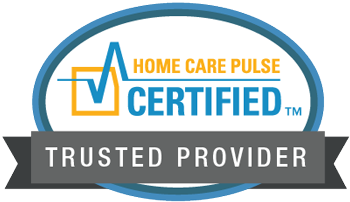 Once hired, caregivers are properly trained and educated through our ongoing classes from Home Care Assistance University Online. 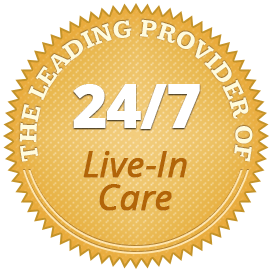 If you or a loved one is in need of high quality in-home care, let Home Care Assistance of Guelph provide quality care, support, and encouragement in the comfort of your own home. Please feel free to call me or one of our expert Care Managers at (519) 954-2111 or email us at [email protected] for more information or to schedule a complimentary, no-obligation consultation. It will be our pleasure to assist you. Mar 25, 2016 - What Should a Senior Drink Instead of Soda?